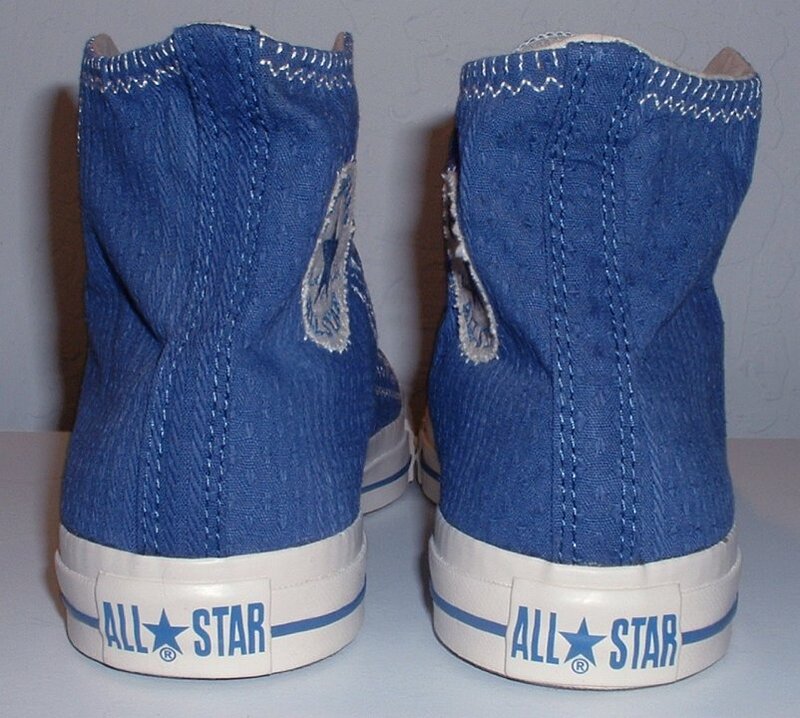 Photo gallery of blueberry multicultural high top chucks. 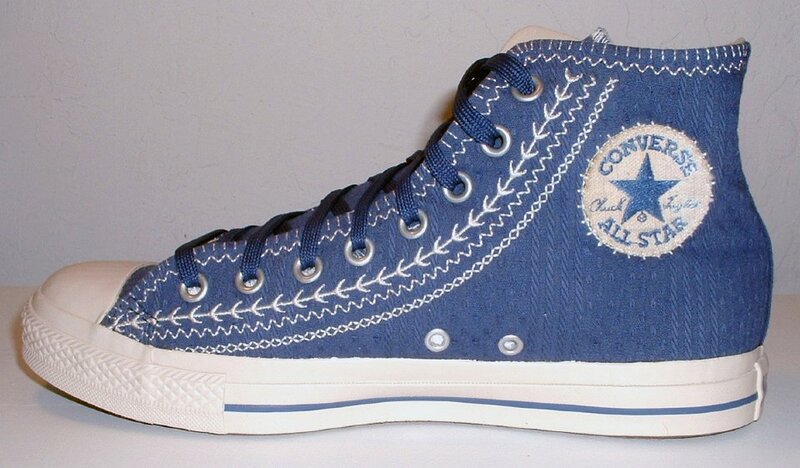 1 Blueberry Multicultural High Top Chucks Inside patch view of a right blueberry multicultural high top. 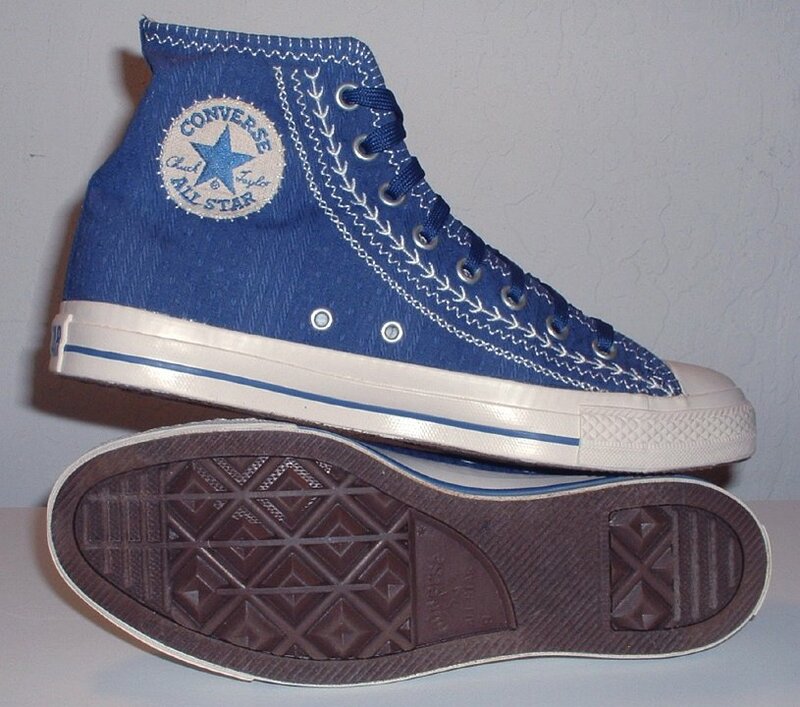 2 Blueberry Multicultural High Top Chucks Outside view of a right blueberry multicultural high top. 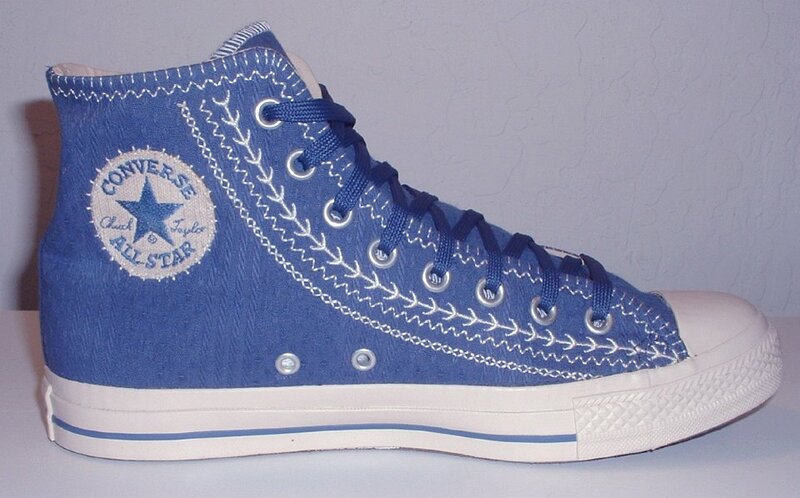 3 Blueberry Multicultural High Top Chucks Angled inside patch views of blueberry multicultural high tops. 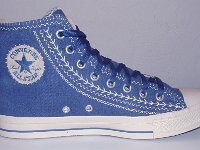 4 Blueberry Multicultural High Top Chucks Inside patch views of blueberry multicultural high tops. 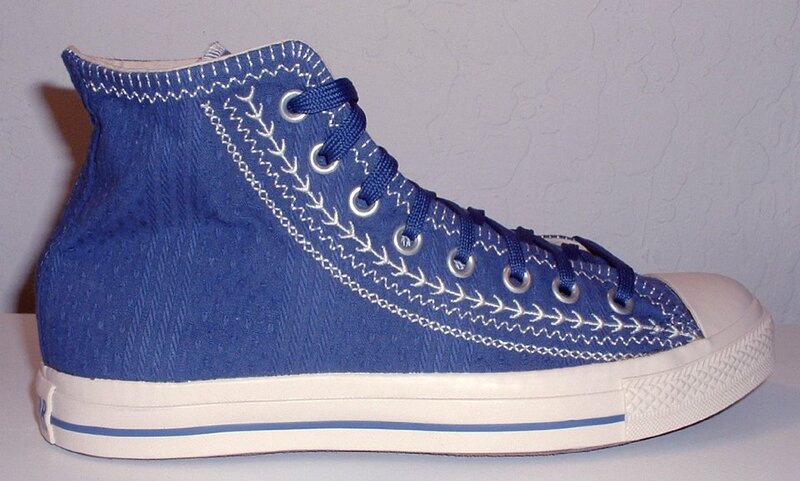 5 Blueberry Multicultural High Top Chucks Angled front views of blueberry multicultural high tops. 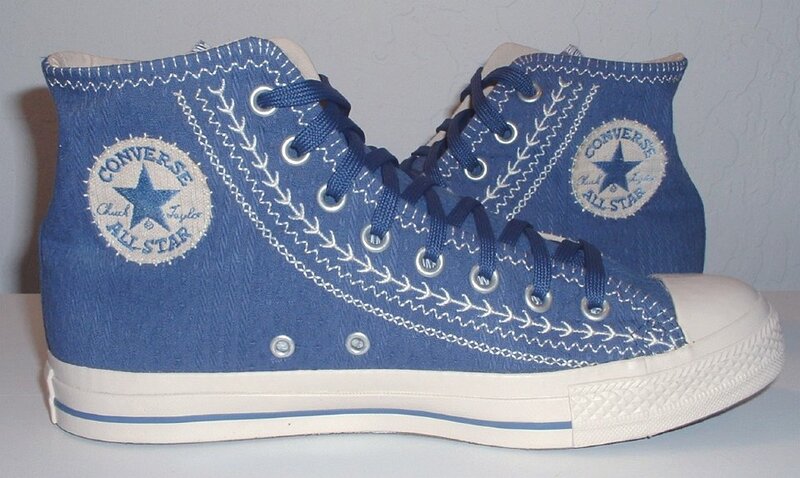 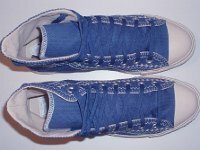 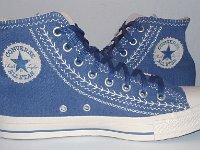 6 Blueberry Multicultural High Top Chucks Outer sole and inside patch views of blueberry multicultural high tops. 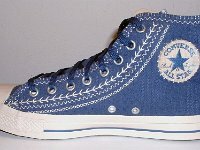 7 Blueberry Multicultural High Top Chucks Inside patch view of a left blueberry multicultural high top. 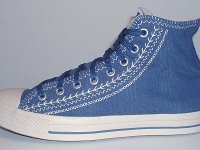 8 Blueberry Multicultural High Top Chucks Outside view of a left blueberry multicultural high top. 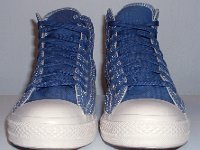 9 Blueberry Multicultural High Top Chucks Angled side view of blueberry multicultural high tops. 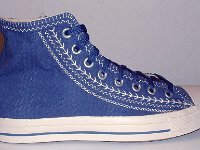 10 Blueberry Multicultural High Top Chucks Front view of blueberry multicultural high tops. 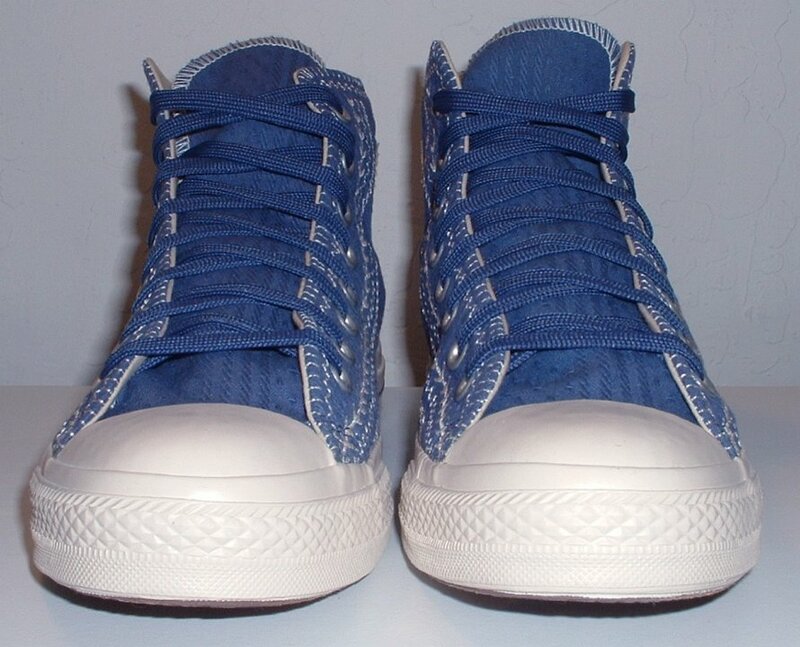 11 Blueberry Multicultural High Top Chucks Rear view of blueberry multicultural high tops. 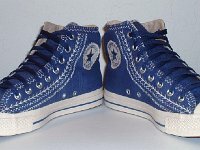 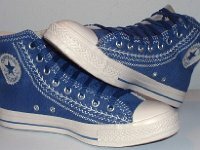 12 Blueberry Multicultural High Top Chucks Top view of blueberry multicultural high tops. 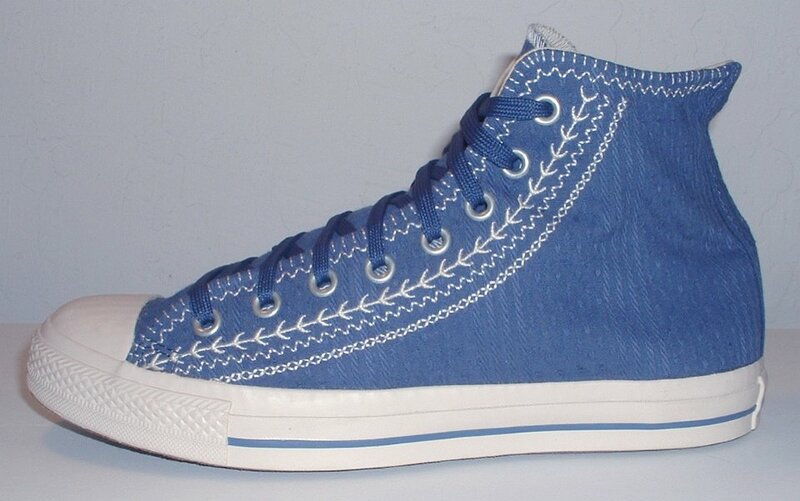 These are blueberry and parchment multicultural high tops. 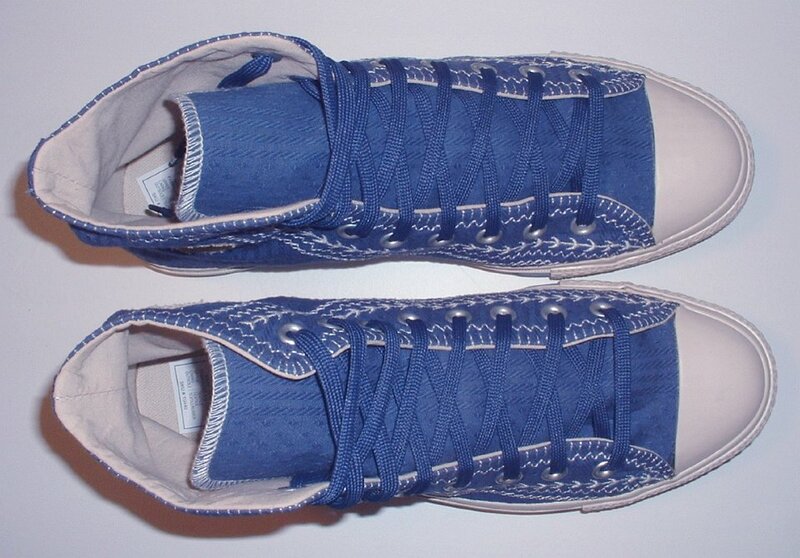 They come with blue shoelaces. 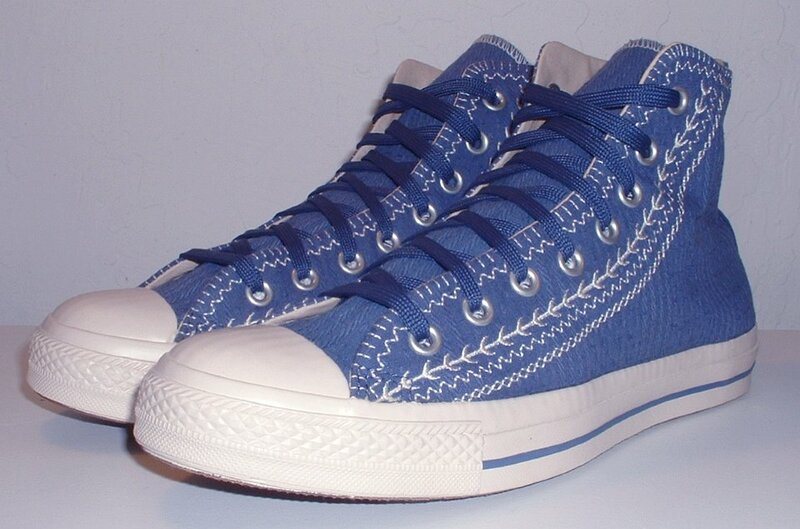 Multicultural high tops have unique stitching patterns on the canvas uppers, and the Chuck Taylor ankle patch is made entirely out of stitching. 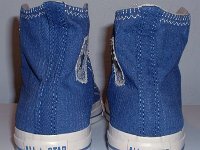 There are three rows of stitching under the eyelets and two rows above on the canvas uppers, each in a different pattern that is meant to evokes the folklore of historic cultures. 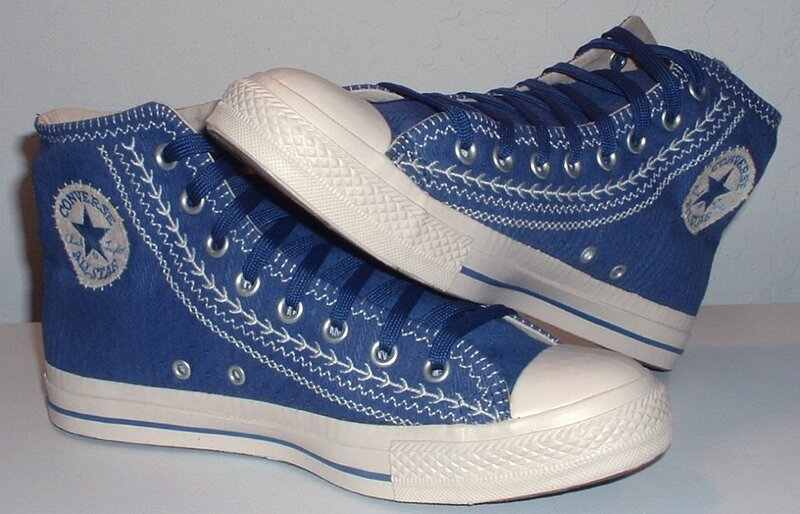 The canvas itself is of interest, because each model has textured canvas uppers. 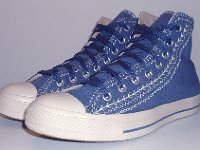 The hibiscus and blueberry multicultural models are unusual because they have no piping strip where the canvas upper meets the rubber foxing. 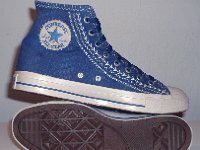 These shoes were made in China in 2006.